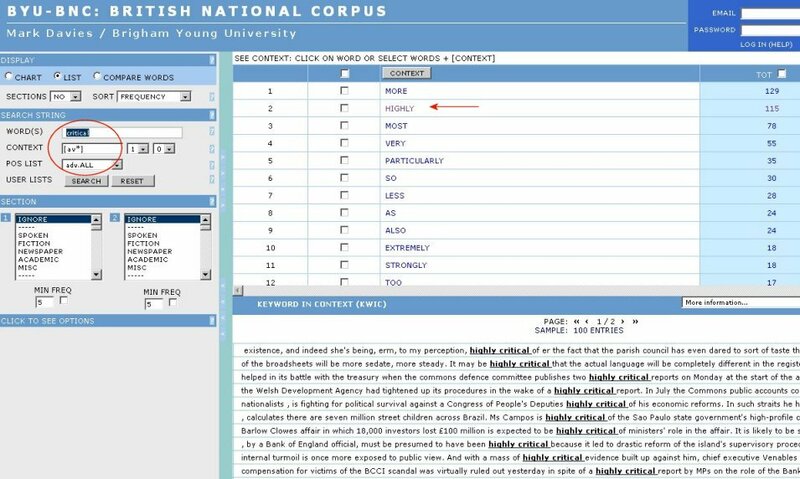 In this exercise, students are supposed to retrieve and analyse corpus data themselves to find out typical collocations of adjectives with adverbs. The report was very critical of the railway's poor safety record. This development proved very significant for the whole town. His poetry reflects the fact that he was a very religious person. Good thing you didn't come to the lecture today - it was very boring.